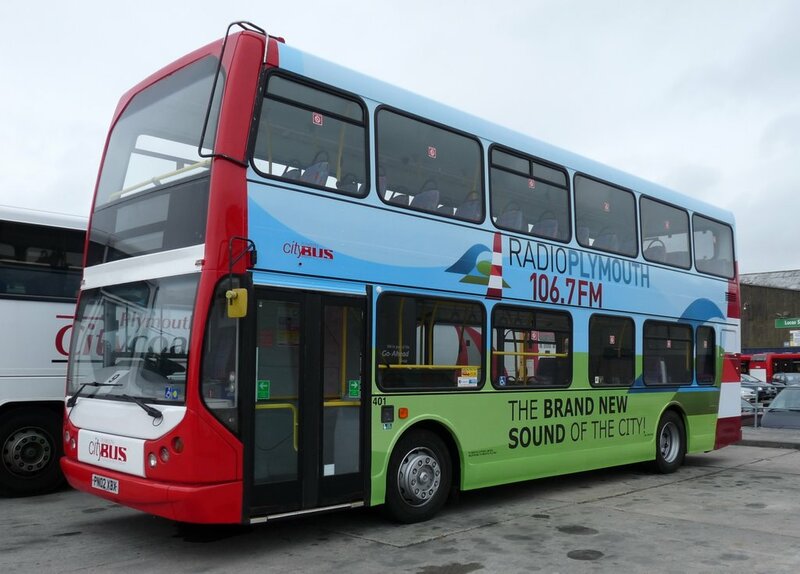 As well as having the advert wrap applied for Radio Plymouth (well timed seeing as 'heart' have finally all but finished off the old Plymouth Sound station) this bus is the first one to have the centre exit door to be removed. Looks good and I am sure will provide useful extra seating capacity on these fine buses. Its also nice to see an advert that does not cover up all the windows.